We are committed to your foot health and strive to provide the finest quality podiatric care in the community. Using the latest technology and treatment methods, we can manage any foot or ankle problem for any member of your family. The most common form of heel pain, is pain on the bottom of the heel. It tends to occur for no apparent reason and is often worse when first placing weight on the foot. A prescription foot orthosis is an in-shoe brace which is designed to correct for abnormal foot and lower extremity function. 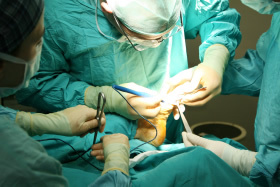 Dr. Berkowitz is board certified by the American Board of Foot & Ankle Surgery. He is a fellow of the American College of Foot & Ankle Surgeons and a member of the American and New YOrk State Podiatric Medical Associations. We spend quality time with each patient in order to better understand your foot care needs, and, after presenting the options, to recommend the best course of treatment. 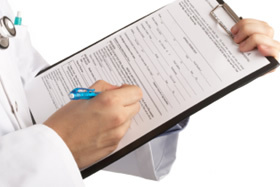 We work closely with primary care physicians and other specialists to ensure the most effective treatment plan. 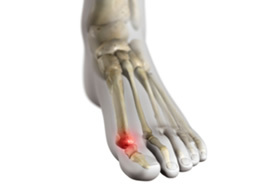 Read articles on common foot disorders and conditions. Did you know the foot has 28 bones, 37 joints, 107 ligaments, 19 muscles, and numerous tendons? Print and bring in your completed New Patient Information Forms or fax them to our office. This step will save you time on your initial visit!